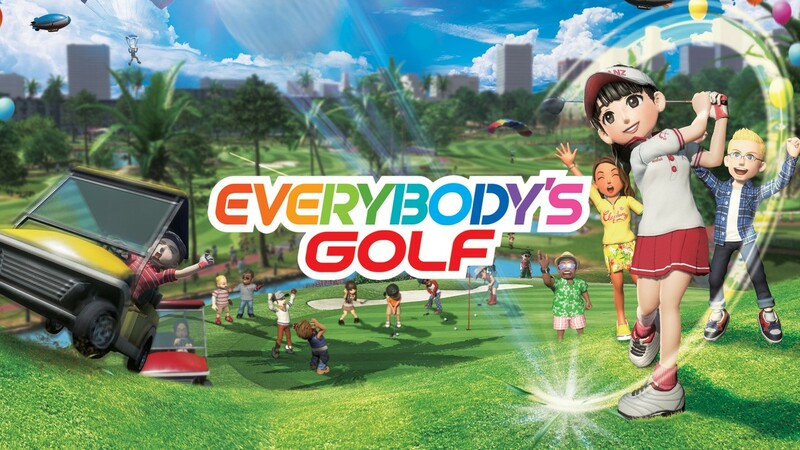 Home Games Game Reviews Everybody’s Golf Review | Different Name, Same Addicting Fun! 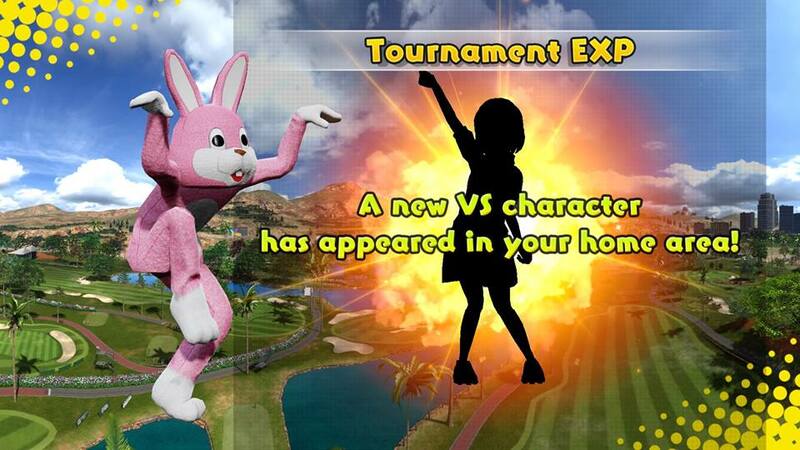 Everybody’s Golf Review | Different Name, Same Addicting Fun! A full helping of Golf with a huge side of craziness and fun! Ah…remember the good ol’ days of Hot Shots Golf when you can just freely swing the club away and enjoy the aesthetics of the environment, varying personalities, and of course the POWER SHOTS!? Debuting back on the OG PSX from over 20 years past, this series has proven its success time and time again and this is no different. Just because the name is different (North America only) doesn’t mean the game is different. Rejoice that Sony delivers yet again another successful addition to the addicting franchise for the PS4! Plus they offer 4K support and DI-ZAMN does it look gorgeous! 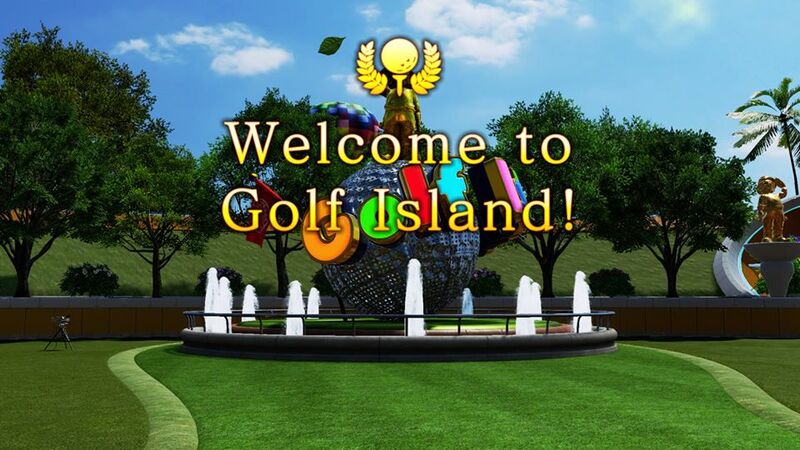 Welcome to Golf Island! “Is this just another golf game?” you may be wondering. Are diamonds and cubic zirconias the same? The title says it all. Everybody can play this game and can have fun regardless of skill level. As the old saying goes: easy to play, hard to master. 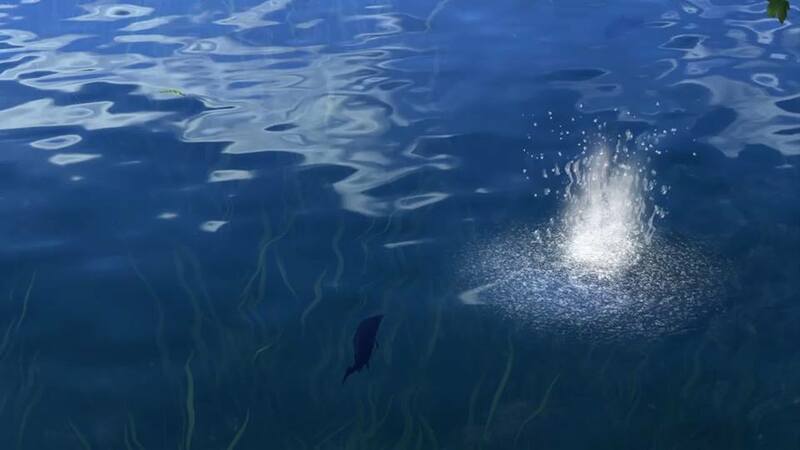 From choosing which golf clubs to level up (more on that later), picking out specific balls to play on the terrain, heck, even to how you want to style yourself; there’s so much to do in this game (including riding a field cart like you were Marshawn “Beastmode” Lynch); even fishing! The game in its simplest form is a three tap swing system. As of now, there are no options for the advance swing style as previous iterations had. But that’s no notorious B.I.G issue, fam! The system takes some serious precision to master and not only that, you can cut/slice the ball to avoid obstacles and hazards, (such as those damn trees), topspin or backspin the ball, and much more! This system now applies to your putting game which adds another layer of complexity for the it. So what does this mean? You no longer have to worry about unlocking the “perfect” character. This will now depend on how YOU, the most important VIG (Very Important Gamer), want to progress. No more limitations of a hard hitter who has a terrible short game or vice versa. I, for one, admire this new change as it feels more liberating knowing that I am in control of my own skills. Not some pre-made character model who will always be…limited. Your character progression carries throughout the game whether you play online or offline, tournament, turf wars, etc. It’s great! OH, THE CHOICES! Hey…is that Turtle? Not only that, but, as you progress through the game, you will come up against rivals who challenge you to a game of golf. If you win, you receive their entire looks (outfit, hair, voice, etc.) 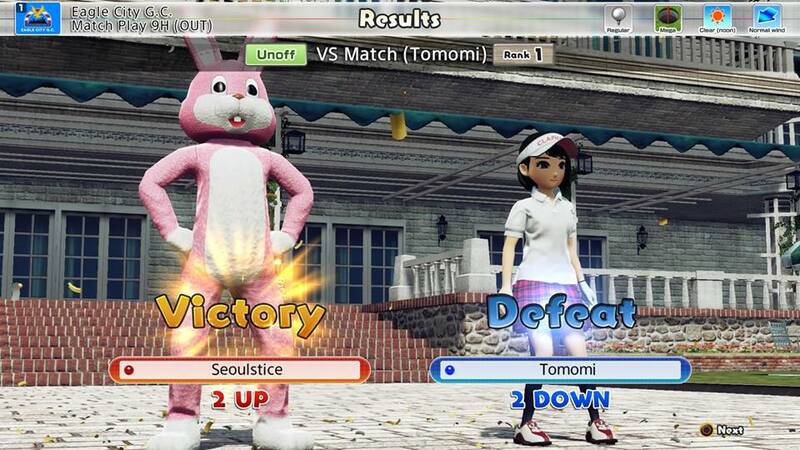 Plus you can use your hard earned prize money to buy other character skins you may like. So be creative! Or be like Turtle. Who’s up for a round of Golf? AND GET OFF MY TURF! Tons of content and you won’t get bored. Daily resets on golf courses and challenges. It’s never a dull moment! Want to earn some cash and exp? Hit up a tournament! Need to practice your stroke? Play solo! Feeling competitive? The new turf war has that covered. Turf war is fun! You are assigned to one of two teams and the objective of this mode is to take over as many holes as possible in a 10 minute window. The idea is to get as many points or better for your team by scoring a birdie or better. Once you are done with one location you can run (or warp) to the next hole to conquer. Simple concept, yet it is exciting. Whoever scores the most points receives the honor of being MVP. So far, it just seems like bragging rights to the world of how many times you were Tiger Woods of the past. Although, I have had issues here and there trying to get on a team and it’s not fun when you wait 80 seconds only to have people drop or leave and start a new 80 seconds and so forth. I attempted to enter turf war 10 times and was only successful three times. Felt like I hit a water hazard on the network or something. If you’re tired of golfing then there are two new side activities to do. You can fish and do golf cart racing! Those are fun on their own and you will probably wonder how come no other game offered something like this experience! 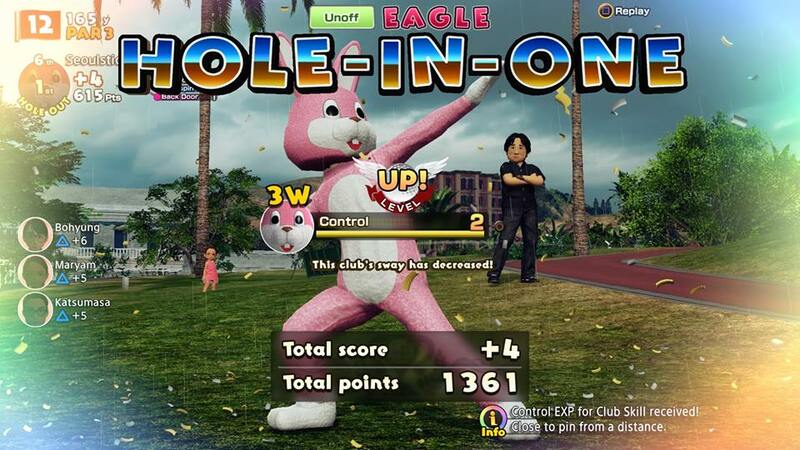 It’s been awhile since Hot Shots Golf on the PS3 was taking over my golfing world. 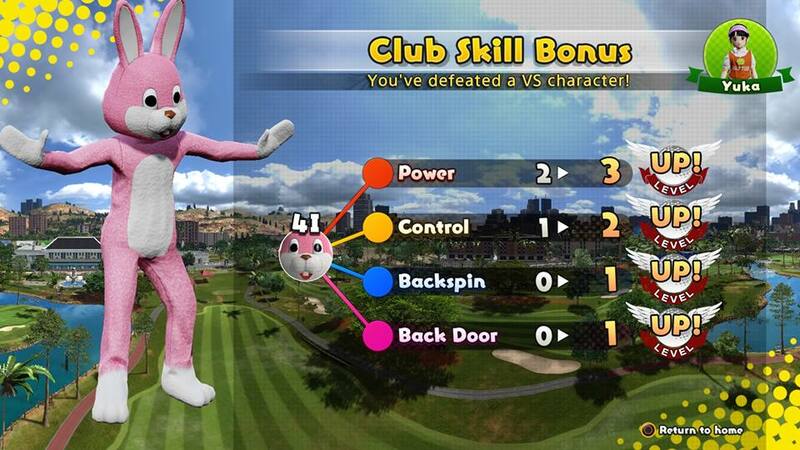 Everybody’s Golf does that and more. The fact that YOU are the star of the game and can level up your own skills goes a long way and creates a special bond between you and your avatar. 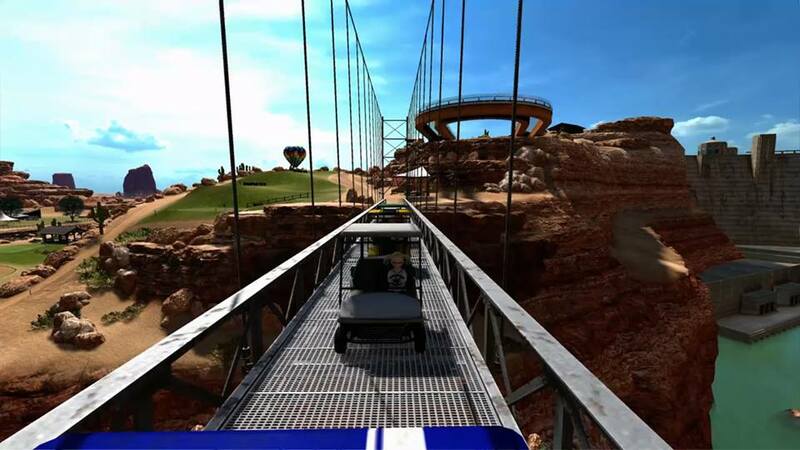 I truly admire the clean graphics, the exciting NICE SHOT hits, and of course golf cart racing. There isn’t much that this game gets wrong. If you are a fan of the Hot Shots Golf series then you will love this. If you are looking more for an EA Sports type of golf game then you will absolutely be disappointed. But if you just like to play golf and are open to some craziness and light-hearted fun, you’re all set! I know I enjoyed my time with it and I hope to see more players around the world to come to my turf. 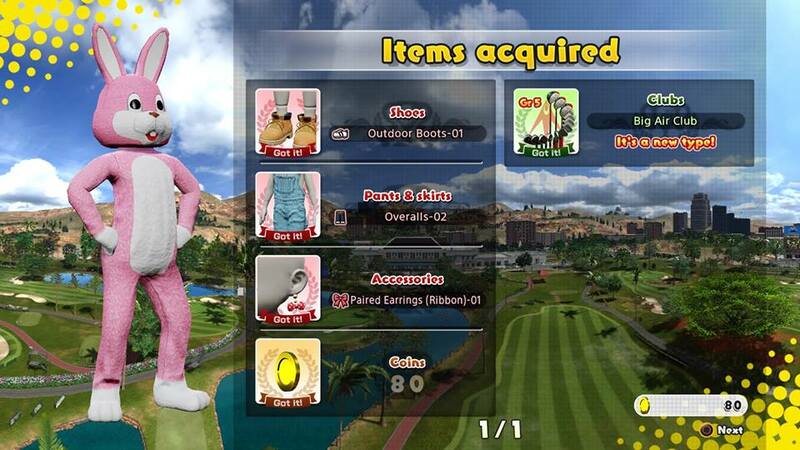 Everybody's Golf features clean graphics, exciting NICE SHOT hits, and a TON of content like golf cart racing. If you are a fan of the Hot Shots Golf series then you will love this. If you just like to play golf with some craziness and fun, you've definitely come to the right place! There are some issues with online gameplay but nothing major. Next articleWe can be HEROES! | The new Justice League trailer goes all-in on the hype!